The English translation of Assouline’s French biography Simenon oddly omits the 30-page chapter “A Man Unlike Others” that provides details of “contradictions, paradoxes, and enigmas” the biographer identified in the man as he approached his 70th year. It’s an “inventory of his likes and dislikes, a catalogue of his personality traits and strong convictions” in 20+ categories that contribute to the complexity of his subject’s “indecipherable” character. Many strike me as worthwhile items for Anglophones, so they follow here as condensed, translated extracts. On honors, prizes, and medals, “officially, he stopped believing in them after he was 12,” but his boasting “At 45, I will have the Nobel Prize” revealed a different attitude. On music, “he said he adored it” although “attending a concert never occurred to him. On painting, he was “responsible” for the “cliché” he was an “impressionist” novelist. On clothes, he had a “sartorial preoccupation” with them. On hotels, one in Paris, one in London, and two in New York topped his list. On sports, he liked “walking from the beginning right to the end” and had “a passion” for horseback riding and golf. On his motto, “understand and not judge.” The idea of being a juror “terrified” him. 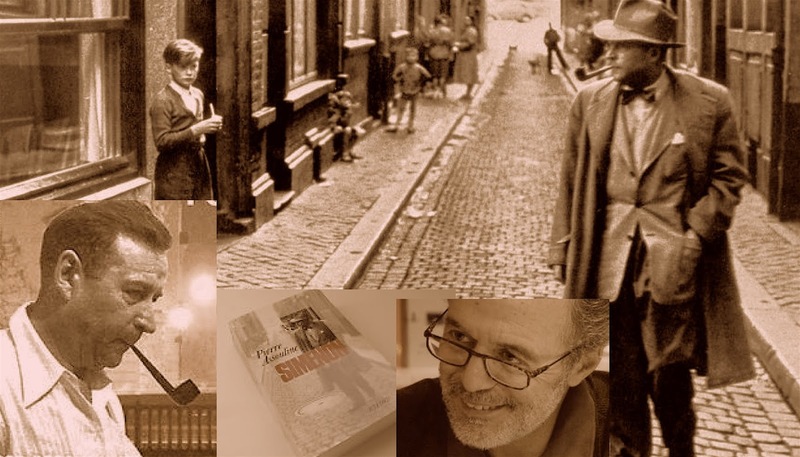 Thus, Assouline underscores how “paradox” made Simenon “elusive.” Yet he had “a contagious quality” that meant “the majority of those who knew him well as a monster of egotism” nevertheless “retained full admiration” of him.